In 2016, the European Union agreed to ‘close loopholes’ by tackling the issue of energy inefficient home appliances. New rules and regulations were introduced to crack down on manufacturers who were providing consumers with misleading information about their products’ energy performance. It was ordered that companies should no longer use a 10% margin of error when advertising the energy consumption of their TVs, fridges and dishwashers. Prior to this, manufacturers had been allowed this leeway which enabled them to effectively lie to their customers. Another problem emerged, though, when environmentalists then turned to accuse the lighting sector of dodging these rules. They argued that lighting companies were being handed a free pass, as they feared the new guidelines would simply destroy their business. Over the last two years, the European Commission has vowed to make the EU more eco-friendly with their proposed Ecodesign Working Plan, which is said to come into effect in September 2020. Although it will certainly have an impact on lighting creators, users and manufacturers, the discussion has been both long and slow and we are still unaware of what the exact impacts will be. 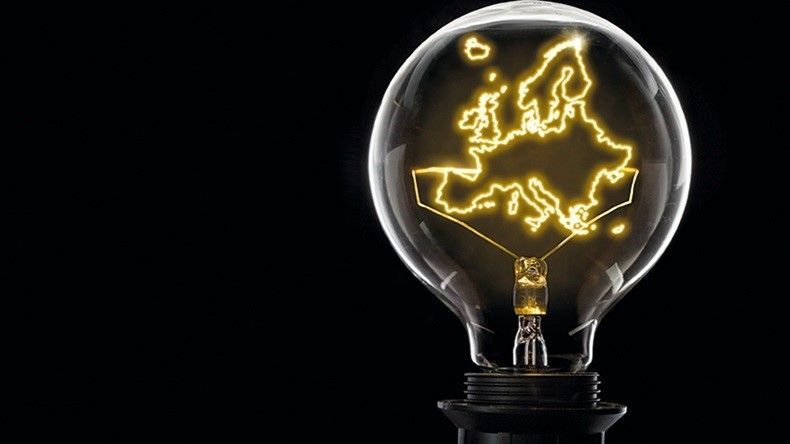 The new rules will impose a minimum efficiency of 85 lumens per watt with a maximum standby power of half a watt on every light source sold in the EU. Currently, neither tungsten fixtures nor some LED-based entertainment lights meet this standard. And while the existing rules excuse stage lighting from fulfilling these requirements, the new ones do not. There is time for the Commission to elaborate, but, as it currently stands, the regulations will clearly have more of a dramatic effect than simply banning tungsten, says lighting designer Rob Halliday. They “will affect just about every lighting fixture used for entertainment lighting, tungsten, arc and LED,” he writes. Indeed, the new rules may be catastrophic for theatres, with some arguing that it will be physically impossible for them to comply. Part of the problem is the assumption that all light fixtures can be easily replaced with LEDs. This is true for your household bulbs, but the same cannot be said for the luminaires in entertainment venues. As theatrical lighting consultant Mike Wood explains, “You as a consumer can throw away your incandescent bayonet lamp, buy an LED lamp and screw it in. But there are no replacement screw lamps for theatrical fixtures.” The only option is to replace the whole unit, including the control systems, due to the more complex electronics of LED lights that need a new infrastructure to work. This is, of course, costly and ultimately wasteful, as traditional theatre lights are actually reliable and can easily last decades. Writing for Wired, Richard Priday adds that any attempt at reversing these new regulations after Brexit would also be ineffective, as “manufacturers of theatrical lights would be unwilling to design products for two separate specifications, due to the relatively small size of the industry”. Experts are also sceptical that manufacturers will be able to create fixtures that do meet the new requirements by 2020. There is, of course, only one way to find out, therefore the development of LEDs should quickly be made a priority. It’s worth noting that once these regulations are enforced, there is nothing in them to stop you from using the existing lamps in your home. The potential issue is that you will not be able to repurchase them if they do not fit the new criteria, and this could result in you also having to replace your dimming and control systems. Ultimately, at the moment, there is no complete set of Ecodesign rules. What exists is a general objective of improving energy efficiency and reducing power consumption, and while this should really be celebrated, it will require a lot of preparation for some industries to adjust.